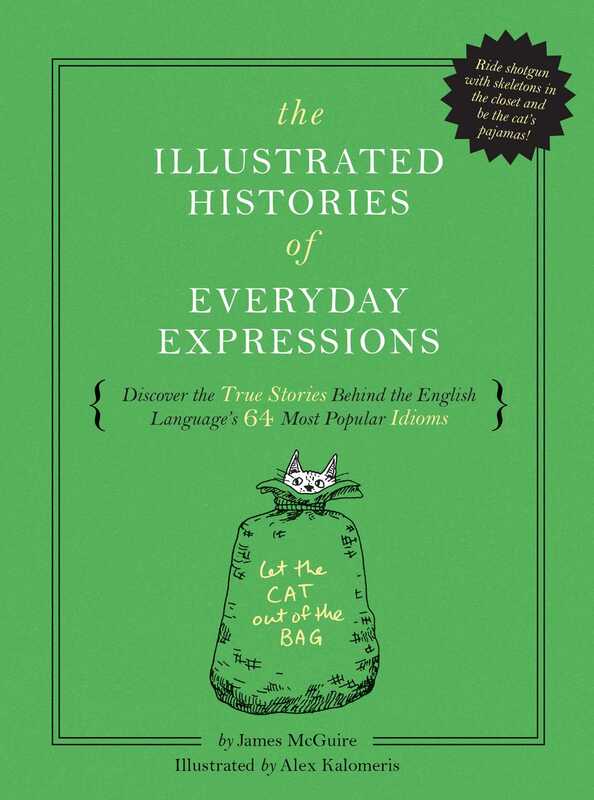 The Illustrated Histories of Everyday Expressions uncovers the fascinating, humorous, and often unbelievable origin stories behind the English language’s most common sayings! Why do we say an unwell person is “under the weather”? It goes back to when sickly sailors and seafarers had to rest below deck! How come sitting in the passenger seat of a vehicle is called “riding shotgun”? In the Wild West, passengers had a crucial job: packing heat and preventing highway robberies! What’s up with the phrase, “cat got your tongue”? Here’s a hint: It doesn’t have anything to do with cats! With over 100 pieces of original artwork, The Illustrated Histories of Everyday Expressions is as beautiful as it is entertaining and informative. Read up on this fascinating history of the English language’s 64 most popular idioms, and you will know what it really means when you say “pass with flying colors,” “bury the hatchet,” and “rest on your laurels”!